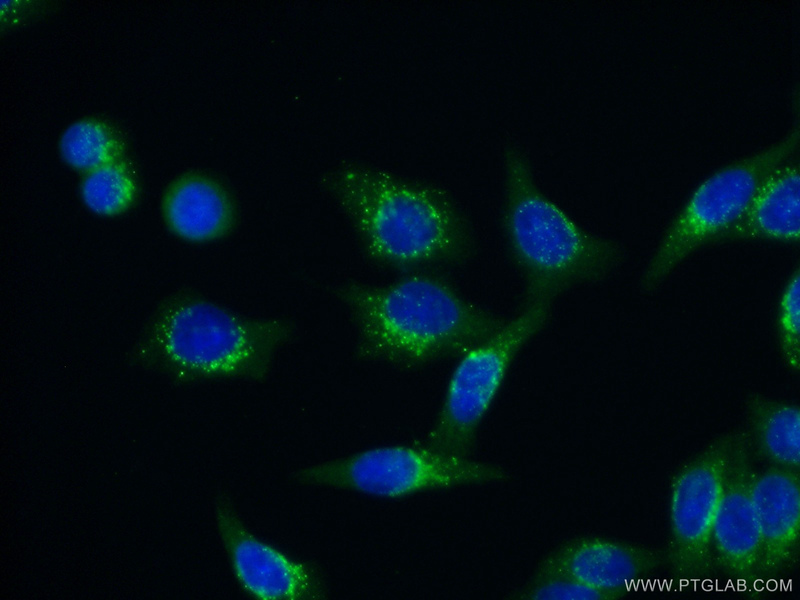 WB result of ABCD1 antibody (60153-1-Ig, 1:1000) with si-Control and si-ABCD1 transfected HeLa cells. 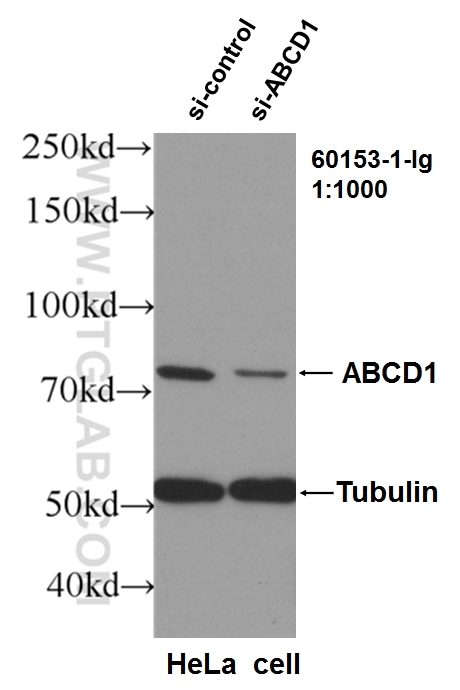 ABCD1 (also known as ALDP) is a member of the ATP-binding cassette (ABC) transporter superfamily which functions as transporter for a wide variety of substrates. It localizes to the peroxisomal membrane. The exact function is not clear so far. Various mutations of ABCD1 cause X-linked adrenoleukodystrophy (X-ALD), an inherited neurodegenerative disease affecting the nervous system white matter and adrenal cortex.